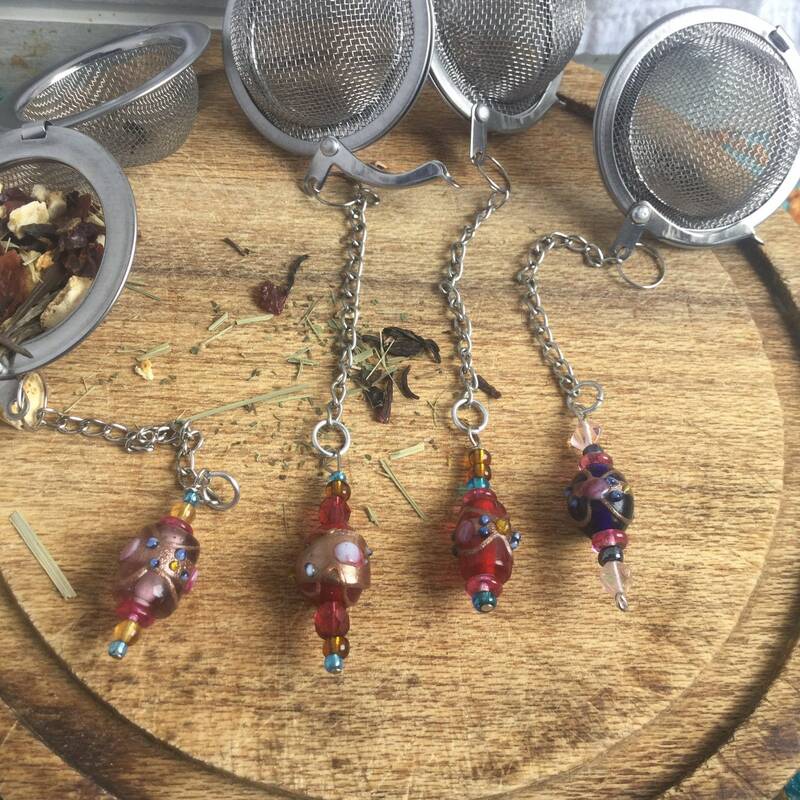 Loose leaf tea strainer with a touch of color & fancy sparkle. 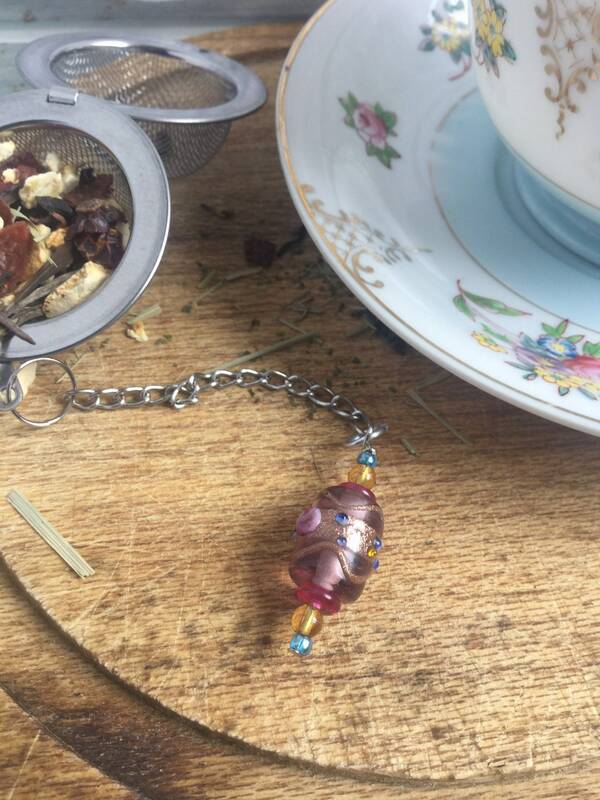 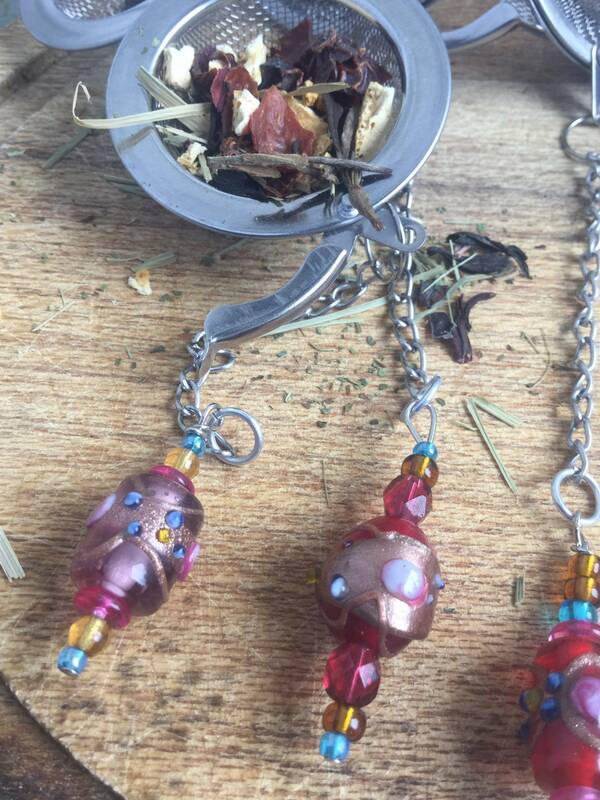 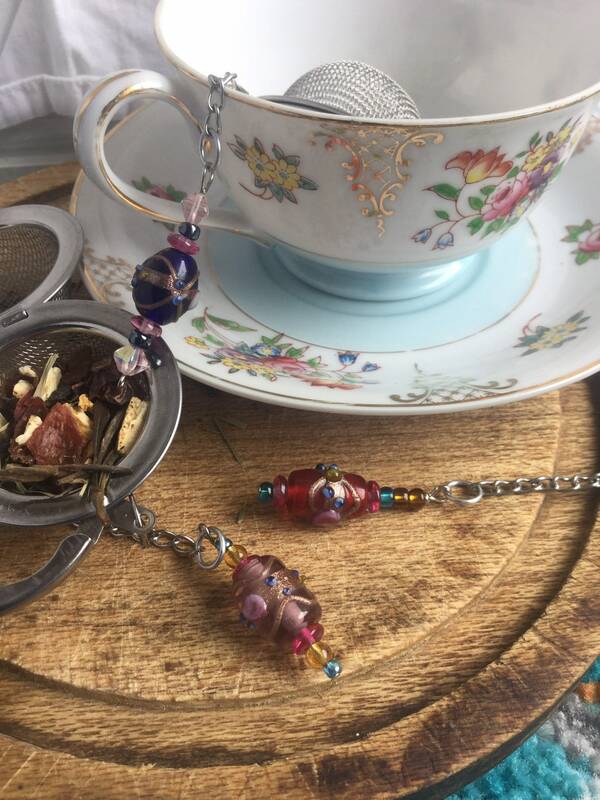 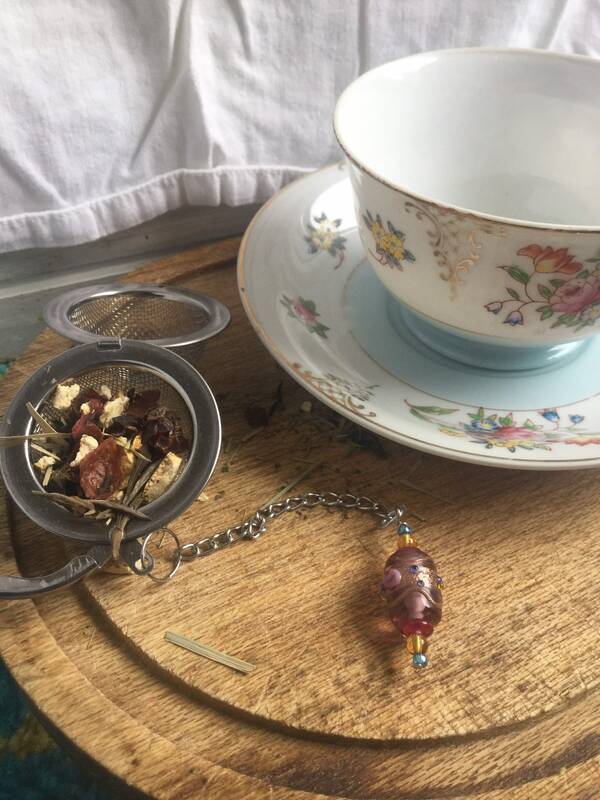 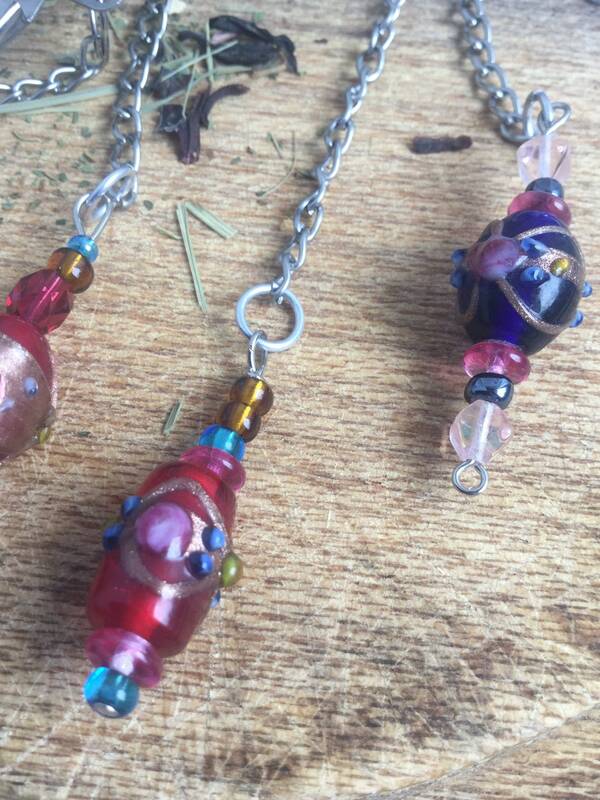 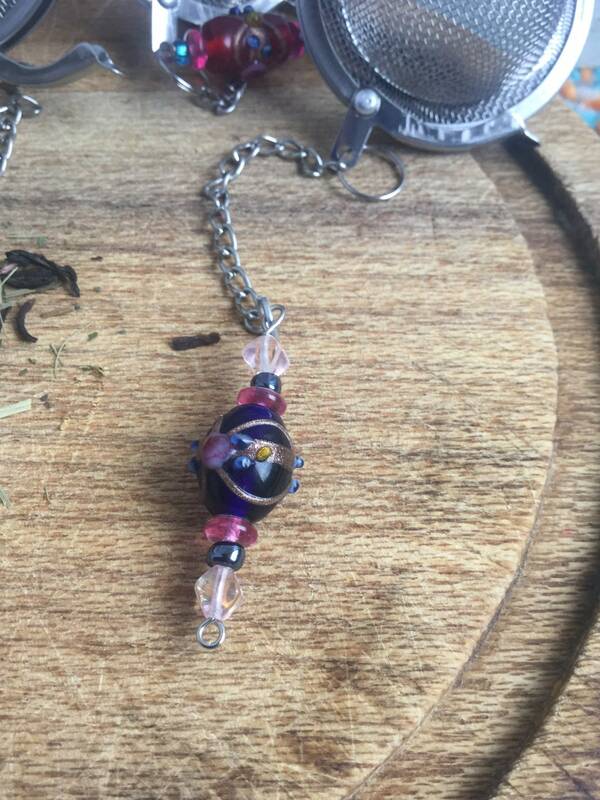 This tea infuser has bright glass beads decorated with handmade lampwork glass beads that will hang as a weight on the side of your cup or tea pot. 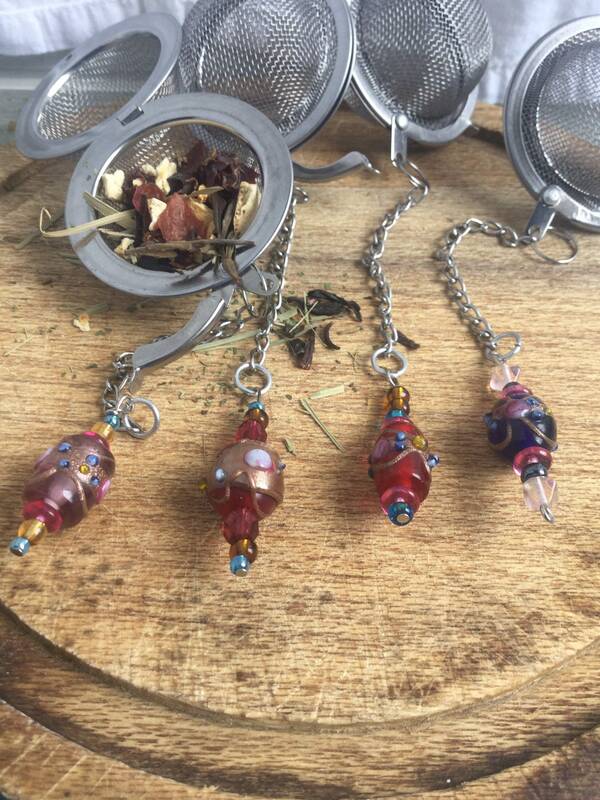 The strainer is a durable and rust resistant mesh ball that opens and closes in the middle. 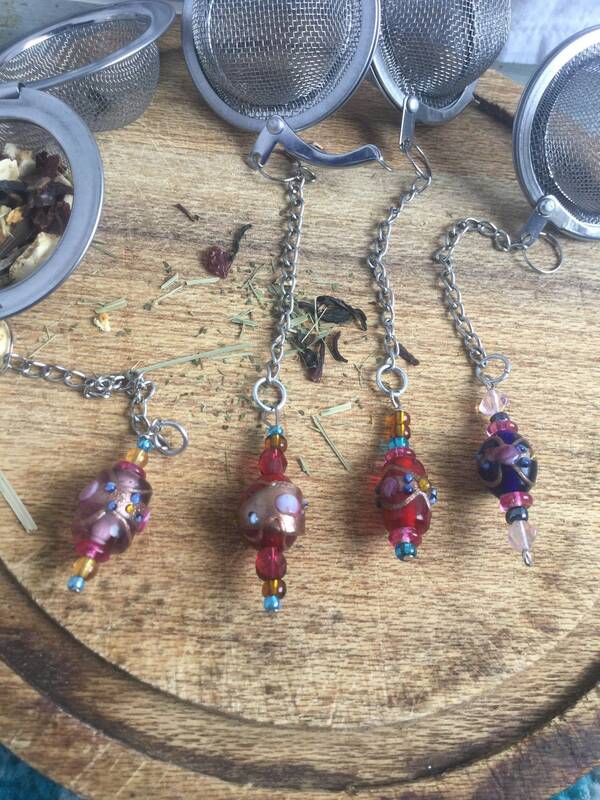 Please choose a color/ shape.